Are the Twins for Real? Fans in the Twin Cities have had a pretty good week so far, sweeping the red-hot Orioles in a three-game series. The offense came on strong for fourteen runs in game one, and in game three Jose Berrios (3-0, 1.66 ERA) continued his scorching start to the season. In between, Ervin Santana (7-2, 1.80 ERA) pitched his second complete game of the season. With the sweep, the Twins push their record to 25-18 — 2.0 games ahead of the AL Champs Cleveland Indians. If you remember last year, the Minnesota Twins lost 103 games. And this offseason, they added…well, not a whole lot. Through 40 games in the 2017 season, though, it’s hard to write the Twins’ start off as a complete mirage. So why have they been so good? And can they keep it up to challenge the Indians for the AL Central? Let’s look at what has fueled their strong start. On the offensive side, Miguel Sano has shined in his first full season at third base. He’s paced the team with a .300/.417/.600 slash line, and he leads the team in RBI and runs. His offensive potential has led more pitchers to avoid the strike zone; his 30 walks are good for fifth in the majors. Though his walk rate is up, his strikeout rate still sits at an uncomfortably-high 35.4%. The strikeouts are worrying, but not catastrophic; Sano has grown into a fearsome hitter, and I could see him finishing the season with a .280 average, 25 bombs, and over 100 RBIs. 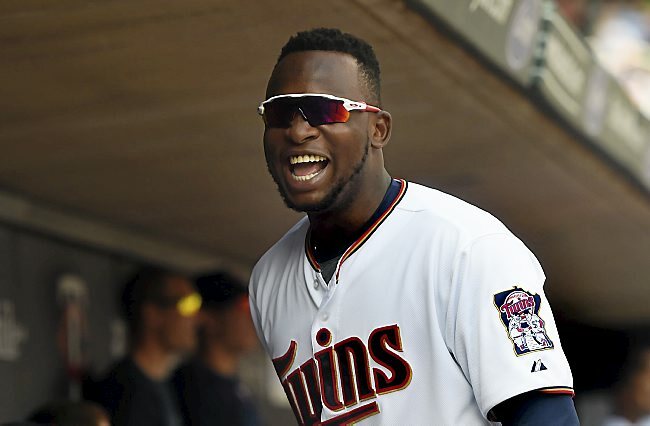 In his third season with the big-league club, Miguel Sano has come into his own. While Sano is one of the Twins’ top hitting prospects, Jose Berrios is their primary pitching prospect. Just last year, he’s posted a 8.02 ERA in 14 starts. Through three starts this year, he’s proven the confidence that the Minnesota front office had in him was well-placed. After getting the W against Baltimore on Wednesday, Berrios moved his record to 3-0 with a 1.66 ERA, and a K/BB rate of 22/4. He’s done it primarily with better location on his fastball, which usually sits in the low-to-mid 90s. He often goes to the cut-fastball as his put-away pitch. It’s too early to say whether Berrios can keep up his torrid start, but it’s not much of a hot take to say he’ll make a big stride forward this year. The big surprise out of Minnesota thus far has been RHP Ervin Santana, who currently leads the league with a 1.80 ERA and 7 wins. These numbers aren’t completely out of left field for Santana; just last year, he posted a 3.38 ERA in Minnesota. 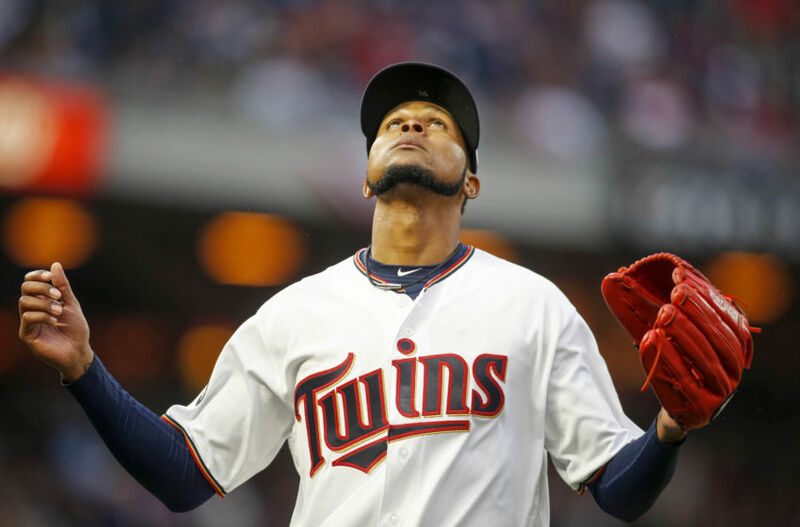 The bad news for Twins fans is that the bottom will drop out on Santana sooner rather than later. According to advanced pitching metrics, he is actually pitching worse than he was last season, though not by much. His strikeout rate was higher last year, and his walk rate was lower. He’s benefited from some good fortune on the bump thus far, as shown by the .136 BABIP mark and a 4.10 mark in FIP. What Santana has been this year is clutch. He sports a 91.5% left-on-base percentage, meaning he’s done a great job of pitching out of trouble. When all is said and done, Santana will be one of the better pitchers in the league; but to expect him to stay on the top page of the ERA leaderboard is asking too much. Santana has been good this season, but has also had luck on his side. Beyond Berrios and Santana, the rotation is questionable at best. Hector Santiago has been passable with a 3.96 ERA, though he does struggle with control at times. But Phil Hughes has struggled to a 5.74 ERA, and Kyle Gibson is almost unusable with a 8.92 ERA through seven starts. The bullpen has put up a 4.27 ERA, good for 19th in the league, though they don’t register many strikeouts. Once Berrios and Santana come back down to earth, there’s not much to fear in this Twins pitching staff. The offense for Minnesota hasn’t exactly been prolific either, ranking 21st in the majors in runs scored. Rookie RF Max Kepler has been a bright spot (.270/.362/.468), and Kennys Vargas has been one of the better DH’s in the AL. Brian Dozier is a talented hitter who hasn’t quite got it going at the plate yet – he has just 6 home runs on the season after leading all second basemen in that stat last year. New acquisition Jason Castro is serviceable behind the plate, but is barely hanging above the Mendoza line. The biggest hole in the lineup comes from Byron Buxton, who holds a batting average of .189 with 47 strikeouts and only 6 extra-base hits. He may benefit from one more stint down in Triple-A to get back on track. Byron Buxton hasn’t just been one of the worst hitters on the Twins; he’s been one of the worst in Major League Baseball. As a team, the Twins have inexplicably dominated on the road with a 13-5 record away from Target Field. They’ve outperformed their Pythagorean win total by 4 wins thus far, most likely due to a relatively soft schedule through the first two months of the season. Against stiffer competition (above .500 win percentage), the Twins are 8-9; against teams below .500, they’re 16-9. Twins fans have reasons for optimism. Miguel Sano is a stud, Jose Berrios looks to have turned a corner, and I’m high on Max Kepler’s career in the big leagues. But despite the hot start in 2017, a .500 season may still be exceeding expectations.